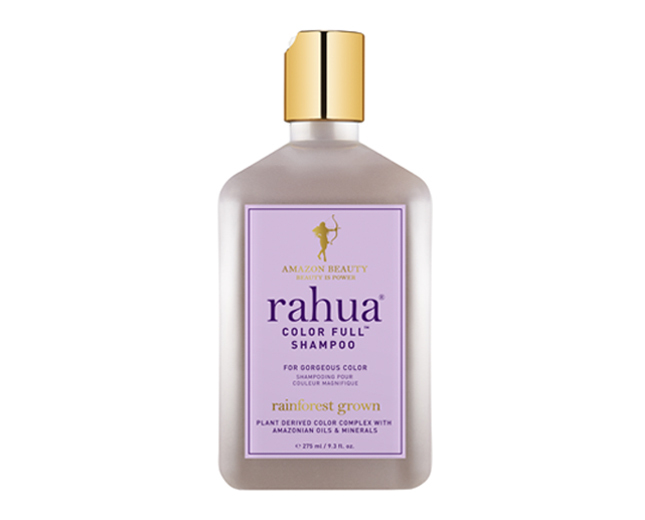 Delight in the Amazon rainforest’s natural gifts, with Rahua’s new Color Full™ hair care system formulated to protect your hair colour investment. These high-performing products are made with an exclusive plant-derived complex of Rainforest-grown oils, as well as enriching mineral pigments. The chemical process of colouring hair produces a negative ion charge, leaving tresses vulnerable to colour fading, and rougher to the touch. When using Rahua’s Color Full™ colour protection complex, this negative charge becomes highly attracted to the positive ion charge of the super-fine Amazonian rahua oil molecules. This helps push pigmentation deeper into the hair for more staying power for your favourite shade. Colour-treated hair also becomes porous over time. Amazonian clay contains natural colour pigments that restore hair’s porosity, further locking in the tone. Amazonian morete (buriti) oil encapsulates each strand to shield pigmentation from external factors, and leaves hair with remarkable health and lustre. Rahua-ungurahua oil: Super-fine omega 9 molecules with a positive charge push pigmentation deeper into the strands for greater colour endurance. ​Amazonian lilac clay (minerals): Restores pigments deep in the hair shaft for extensive colour preservation and healthier hair. Colour pigments on the exterior layers are encapsulated with a colour-fading barrier for longer-lasting vibrancy. Morete oil: Natural lipids cover the hair’s cuticle, creating an antioxidant-rich anti-fade barrier. Also contains beta-carotene molecules for added vibrancy. Cranberry seed oil: Deeply hydrates while boosting shine. Flaxseed oil: Packed with omega 3 and vitamin E to encourage hair growth and stronger hair. Hibiscus extract: (exclusively found in the Hair Mask) provides full spectrum colour support, strengthens, boosts shine, and increases bounce. ​Rich and creamy, this colour-maintaining conditioner preserves your preferred shade as it hydrates and softens. 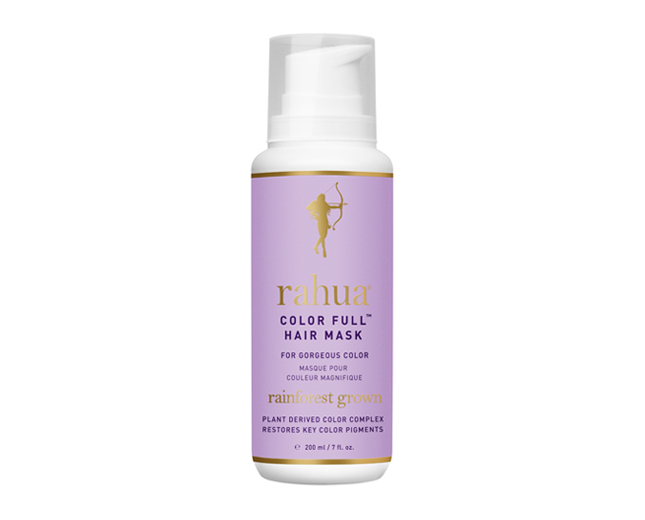 Rahua’s Color Full™ colour protection complex pushes colour pigmentation molecules deeper into the hair for greater staying power. Enchanting gardenia oil and lavender essence complete the sensory adventure deep into the restorative Amazon. Use this high-performing hair treatment weekly for lush, colour-enhanced locks that stay sturdy and shiny. 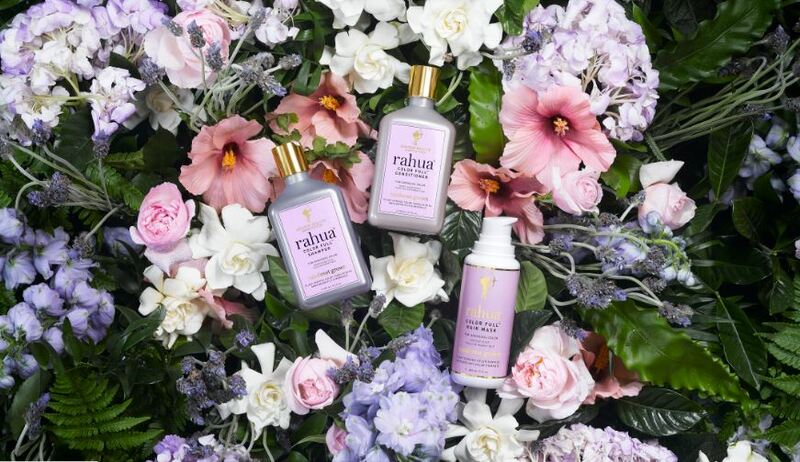 Rahua’s Amazon rainforest–sourced recipe blends sustainable rahua-ungurahua oil, morete oil, cranberry seed oil, flaxseed oil, safflower seed oil, hibiscus flower extract, gardenia oil, and lavender essence for complete colour protection.